Meet the Beatles for Real: Ringo Forever! 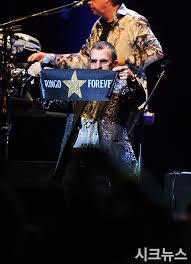 Guess who just got tickets to see Ringo in concert in row H? This Beatle fan right here! The concert isn't until September, so I have a long time to wait. But I am so excited to see Ringo again. Anyone get tickets for the upcoming tour? I got tickets for his show in Luxembourg in July. Looking forward to it. In Pittsburgh? I'm going too! Awesome Sara, I have tickets to see him in St Louis also, can't wait, thanks for the great pics and stories.